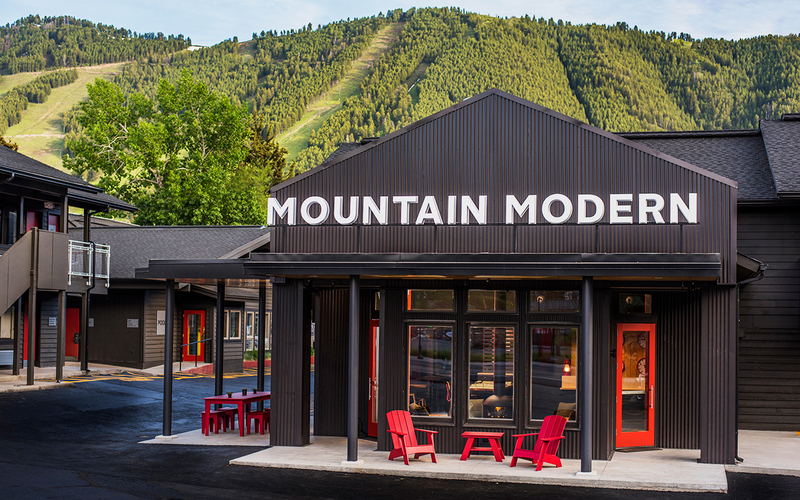 The 135-room Mountain Modern Motel reinvents the typical motel concept with a fresh approach to hospitality tailored to adventure travelers. 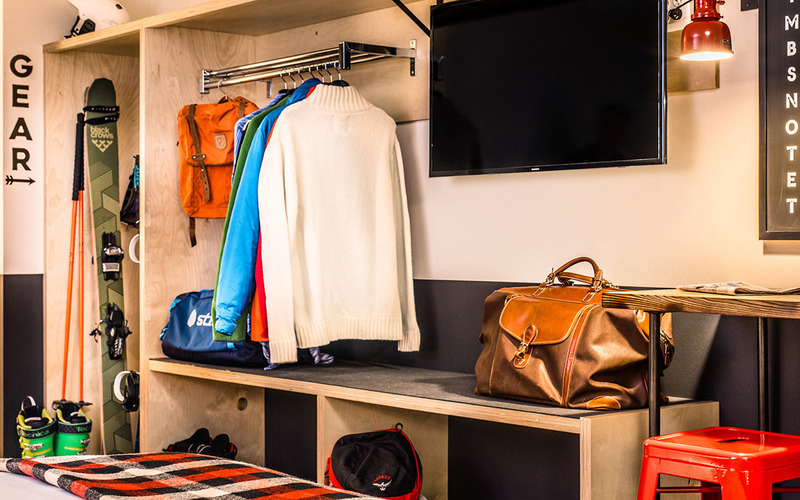 Guestrooms are inspired by the functionality of the tiny-homes movement, with a storage wall for outdoor gear, and durable vanity counters for washing coolers or backpacks. 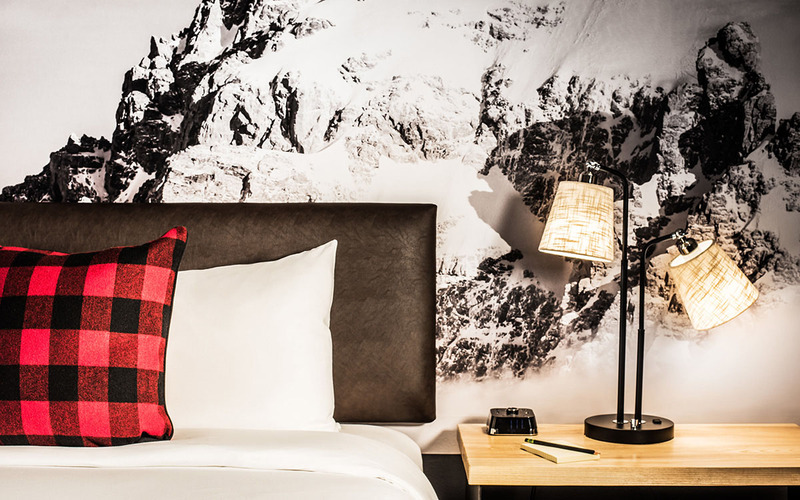 Buffalo-plaid blankets, leather chairs, and oversize trail maps define a timeless design scheme and reference the natural features of the Grand Teton backcountry. 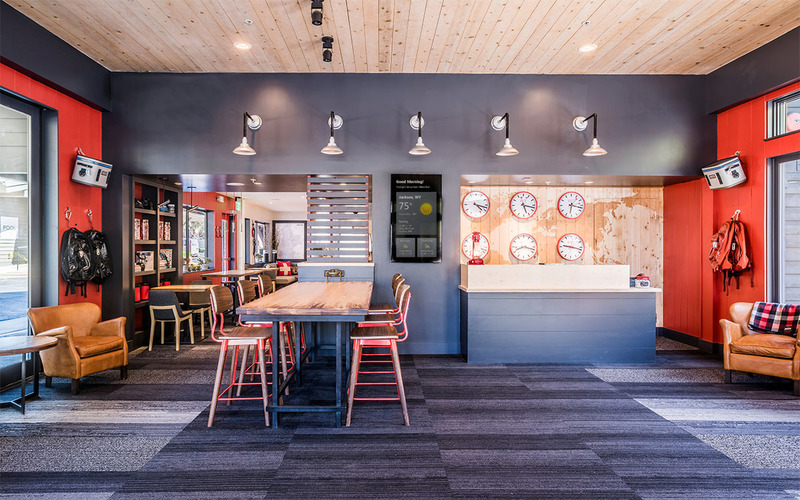 The lobby offers more shared and communal space than a typical motel building, with a breakfast room, café, and fireplace with lounge seating. 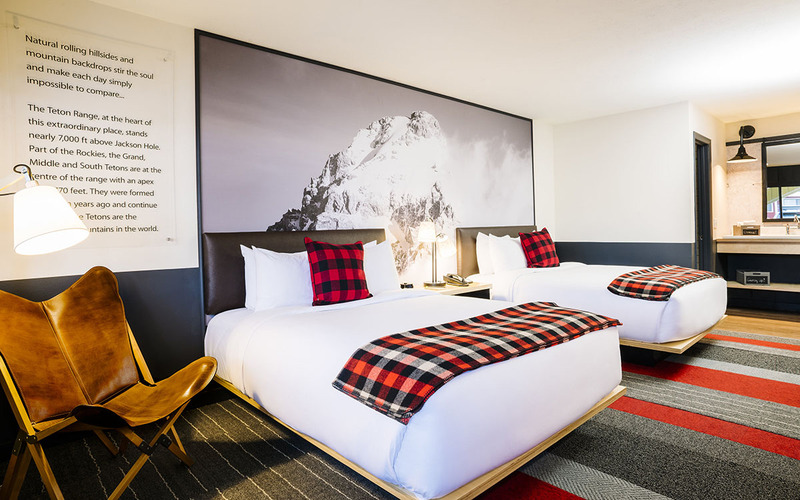 The lobby décor consists of outdoor gear available for daily rental, so that the lobby doubles as an outdoor gear outfitter for guests.